Governor Ralph Northam has declared a state of emergency in anticipation of the potential impact of Hurricane Florence and ordered the evacuation of low-lying coastal areas of Virginia. According to the National Hurricane Center, there is an increasing risk of life-threatening impacts from Florence, storm surge at the coast, and freshwater flooding inland from prolonged & exceptionally heavy rainfall. Declaring a state of emergency helps mobilize resources to prepare for the storm, mitigate any damage and streamline the process Virginia uses to send assistance to other states. For preparedness information and resources for floods and hurricanes please review: VAemergency.gov/floods and VAemergency.gov/hurricanes. You can also follow the Virginia Department of Emergency Management at on Twitter for the most up-to-date information: @VDEM. As you probably know, much of riverfront Old Town near the Torpedo Factory flooded on Sunday night and continues to remain inundated in portions today. We expect, with the incoming storm, that flooding will persist and/or worsen. 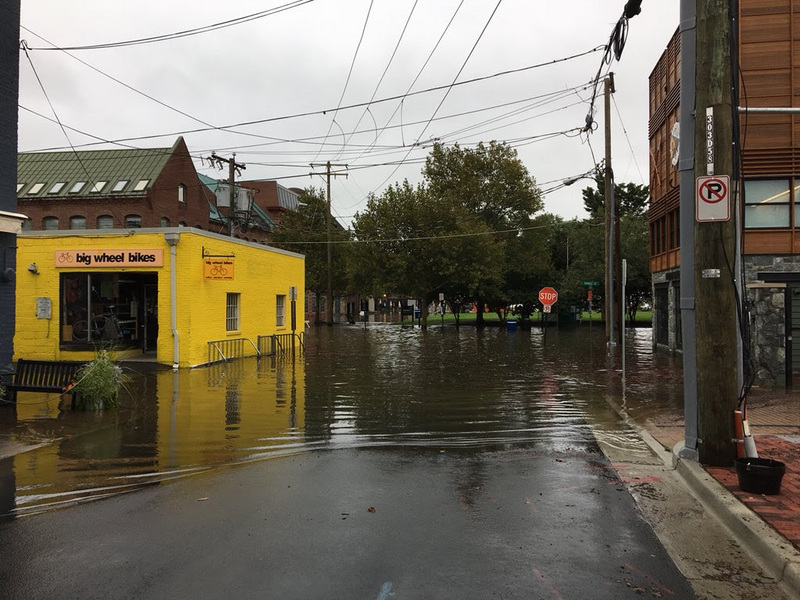 Alexandria's emergency response teams responded admirably, including evacuating eight people from flooded areas and delivering sandbags to local residents and businesses in low-lying areas that are especially vulnerable to flooding. Sandbags were distributed to City residents yesterday, up to five per household, at the corner of King and Lee Streets. Call 703-746-4800 to learn about future sandbag distribution. If you have sandbags, please return them once the flood danger has recessed for recycling and reuse to 133 S. Quaker Lane. Do you know the proper placement of sandbags, how to prevent sewer backup, and other ideas to minimize flood damage? Go to https://www.alexandriava.gov/Floodingfor details. Please, be safe. DO NOT try to drive or walk through any flooded areas.